Steven L. Eddins is development manager of the image processing group at The MathWorks, Inc. He led the development of several versions of the company's Image Processing Toolbox. His professional interests include building software tools that are based on the latest research in image processing algorithms, and that have a broad range of scientific and engineering applications. Prior to joining The MathWorks, Inc. in 1993, Dr. Eddins was on the faculty of the Electrical Engineering and Computer Science Department at the University of Illinois, Chicago. There he taught graduate and senior-level classes in digital image processing, computer vision, pattern recognition, and filter design, and he performed research in the area of image compression. Dr. Eddins holds a B.E.E. (1986) and a Ph.D. (1990), both in electrical engineering, from the Georgia Institute of Technology. He is a member of the IEEE. 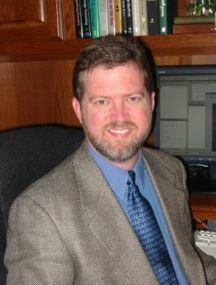 Dr. Eddins writes about image processing and MATLAB at: http://blogs.mathworks.com/steve.